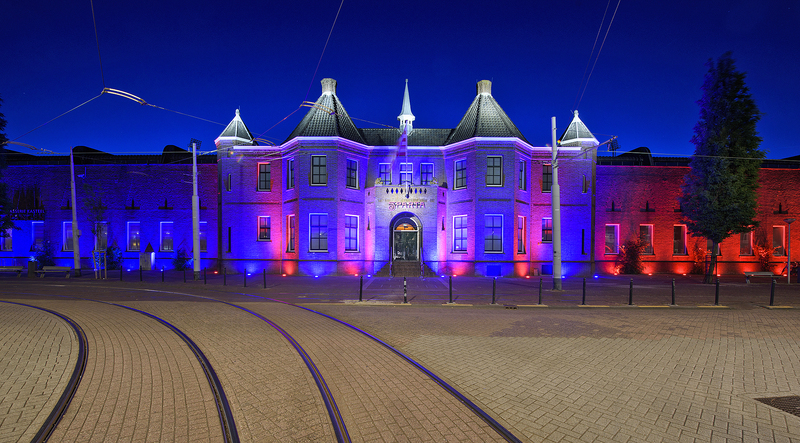 The Sparta Stadium, also known as ‘The Castle‘, is located in the Spangen district of Rotterdam. To celebrate the centenary of inauguration, the Municipality of Rotterdam commissioned Atelier LEK to create a suitable new lighting design for the original facade of the stadium, considered a city monument. This was not a simple job, because the historical atmosphere of the building had to be preserved, while a more spectacular and dynamic lighting was requested during football matches and events held in the stadium. Iris Dijkstra, lighting designer at Atelier LEK, designed a plan for both purposes: traditional and classic during normal days of the week, exuberant and spectacular during special and sport events. To accomplish that project, Atelier LEK looked for a LED fixture featuring powerful light output, a beautiful warm white light and also the ability to project any color for special occasions. 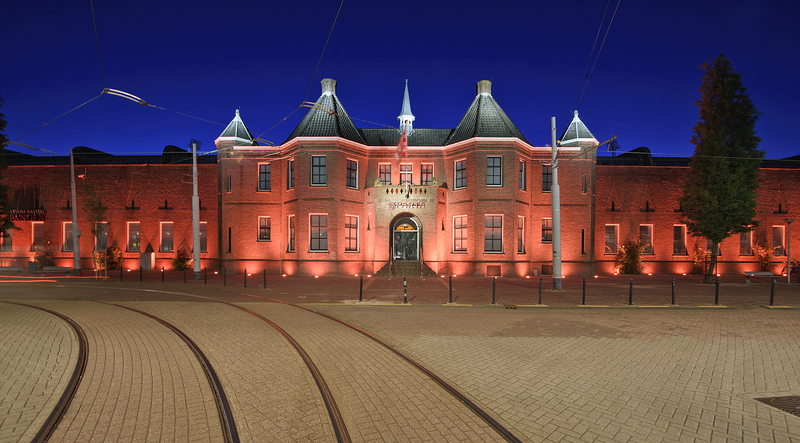 The DTS HELIOS BRONZE 12 FC (IP68), provided by the Dutch company Full AVL Distribution, was found to be the most suitable luminaire, also featuring the mechanical strength necessary in public areas. Full AVL Distribution programmed the lighting scenes and created a user-friendly touchscreen control solution, working side by side with project’s designer and installers. The LED fixtures are remotely driven, controlled and monitored by the DTS DRIVENET 832 digital power supplies / controllers, rack-mounted in a cabinet set in a protected technical area. Daily color of Sparta Stadium is a neutral warm white; but thanks to the custom-built control application, users can select via pc any desired facade color matching the upcoming events.